Getting Into Eurorack With The Moog Mother 32 – What Modules Should I Add? 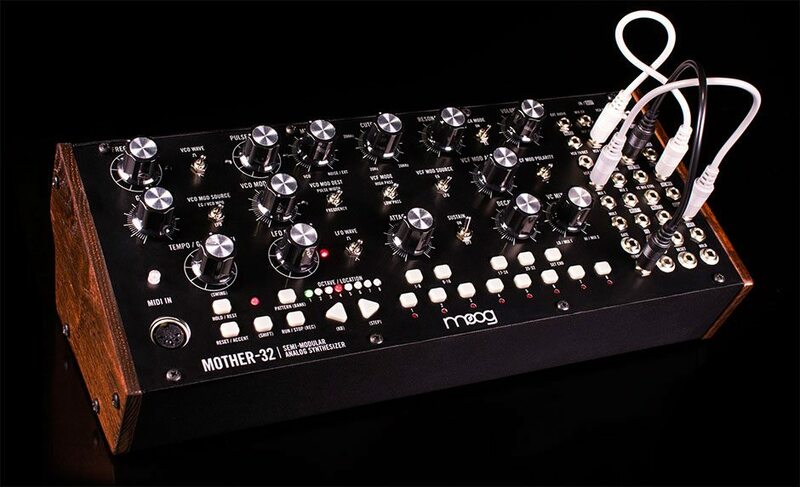 After we published our Moog Mother-32 review, we noticed that users kept asking questions and wondering how to use this Moog semi-modular synth as Eurorack jump off and what would be the best modules to add to the Mother-32. This synth is a flexible little beast, and you got a glimpse of that in our ‘Moog Mother-32 plays well with others‘ post. While being self-contained and having its own case, the Moog Mother-32 is expandable and fits perfectly into a Eurorack system (as seen in some of those videos). What modules should I get next? In this quick guide, we’ll hopefully answer some of your basic questions. Don’t blame us later for your empty wallet! If you’re looking to add Eurorack modules to complement your M32, first you’ll need a case and some power. There’s a huge variety out there. 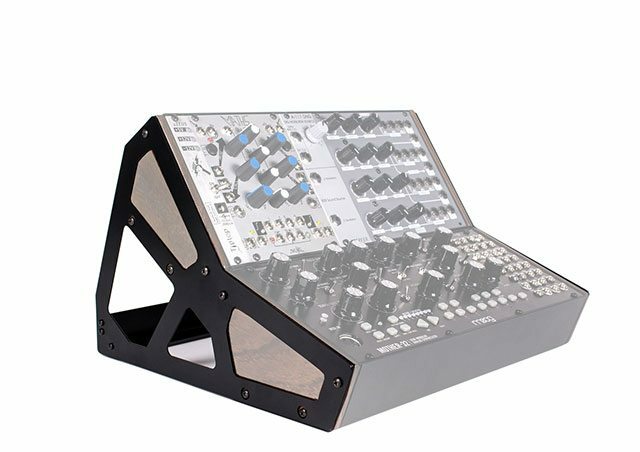 The most obvious option might be to purchase an empty case from Moog, who provide 60hp cases (hp = width) that can fit in a 2 or 3 tier rack along with the M32. 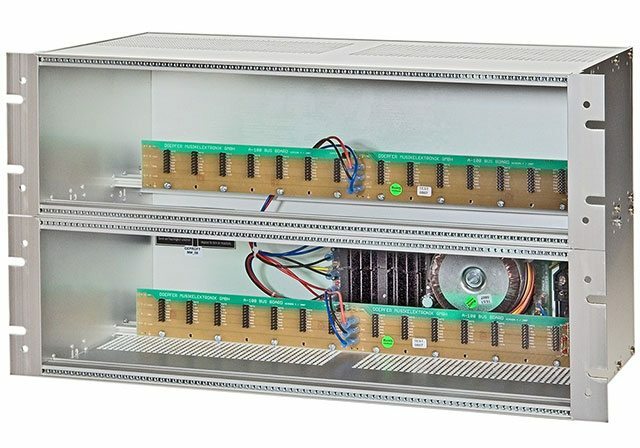 I would caution against this, unless you have a really good idea of the modules you want, as 60hp isn’t that much space (Typically Eurorack cases are 84 or 104hp) and you’ll still need to get power (which will take up, at least, 4hp). Regardless, at the time of writing, the Moog cases are about as hard to get hold of as the M32 itself. 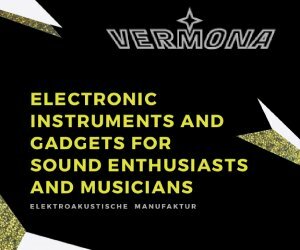 A better option might be to pick a case made by Doepfer (the inventors of Eurorack standard), who provide self-contained cases with power to get you started. These are well made, and excellent value compared to the more boutique options provided by other manufacturers. Lots of people are going to tell you to get at least double the size case than you think you need, and they’re right! This is a disease, and it will grow. If you don’t like the big empty spaces you can always fit your M32 into the case to use up a bit of room while you assemble a collection. My preferred option is to go for TipTop Audio’s Happy Ending Kit, which contains 1 row of 84hp, mountable into any standard 19”rack, but also with angled sides allowing it to sit neatly on a desktop. This is great because it’ll get you going, and is expandable (just buy more rails and rack ends, 1row = 3U of rack space). It includes the Tiptop Audio uZeus, which gives you enough power to power a few rows worth of modules. If your case option does not have power, I recommend the uZeus as I use it and I’m happy with it, but other similar power options are available such as ones from Synthrotek. Enough boring stuff, what modules should you get? That question is a lot harder to answer. My first piece of advice would be to wait and get to know the M32. It’s only after a couple of weeks with it that you can really tell what you want to do with it. Easier said than done when you’ve got a long wait for the M32 ahead of you, and money burning a hole in your pocket. PROTIP#1– If you have a Boyfriend/Girlfriend, start apologising to them now – It just saves time later on. You’re not going to be seeing much of them, you’re going to have no money and if they live with you there’s going to be a lot of bleeping going on (from you and them). PROTIP#2 – Get yourself to https://www.modulargrid.net/, where every Eurorack module on This Green Earth is listed, with full specs and links, and you can design your case in advance. It’s also got a great marketplace. PROTIP#2 – Cut up your credit card right now. Bury one half in the garden, and post the other half to your parents. You’re welcome. Having said all that, there are a couple of obvious ‘next module’ options, which will increase the M32’s functionality and offer further paths down the rabbit-hole. I’m not going too much into what each module type is, as there’s loads of information out there, I’m just going to focus on how each module type can augment the M32 in different ways. The M32 only has 1 VCO. The LFO can run to audio rates, but doesn’t track perfectly, so a nice, stable 2nd VCO will increase your sonic options exponentially. There are a number of excellent options available. 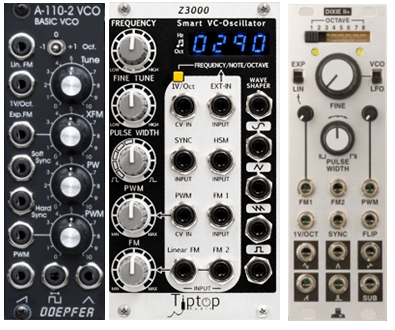 Doepfer has a selection of cheap, basic VCOs that shouldn’t be discounted at all, and some are even currently available in a vintage matching black colour. TipTop audio has a great VCO (the Z3000) that also features a tuner (USEFUL). Personally, I went with Intellijel’s Dixie ii+, which has loads of waveform options, an octave switch (which is great, allowing it to play a totally different octave to the M32’s sequenced VCO), and great sync/FM capabilities. And it sounds FANTASTIC. The M32 filter is lovely, and lives up to the Moog standard, but it can be quite polite (the bass drops quite a bit with the resonance up). A 2nd Filter will expand your sound possibilities a lot, for example by having that hi-pass then lo-pass signal path that the MS-20 is famous for. 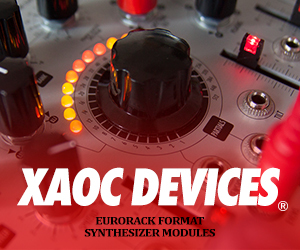 There are hundreds of filters available in Eurorack, and many of them are modelled on old famous filters of yore, so you can put your creamy Moog filter and VCO up against excellent clones of Roland, Korg, SEM, Serge, Polivoks etc etc. Your choice is really up to personal taste, it’s hard to say that one particular filter matches particularly well. My advice would be to check Youtube videos, like this one by DivKid, and again don’t discount Doepfer. Personally, I went with the AniModule S.O.B, which is a great filter with loads of beef and screaming resonance, multiple outputs, 2 inputs (USEFUL), a wavefolder and loads of CV options, including a nice pingy vactrol. The M32 only has one basic Attack/Decay envelope. Although this is plenty enough for acid style sequences, Getting hold of a fully fledged ADSR envelope will allow you to create more carefully crafted melodic lines, so if you’re wanting to use the M32 to make lead sounds it should be near the top of your list. Even if you’re not looking to create traditional long melodic lines, another envelope generator or two will allow you to (for example) control the filter with a separate envelope, and to do funky CV modulation tricks, like affecting the depth of the LFO over time. For ADSRs, Doepfer has a great option (again currently available in a fetching vintage black), which does exactly what it says on the tin. A popular choice is the Make Noise Maths, which can provide 2 ASR envelopes, but also LFOs, and a ton of cross modulation options. Maths is one of those modules that everyone fawns over, because as your knowledge increases you’ll find out it can do so much more than a standard envelope generator. There are alternatives to Maths, such as the PEG from 4ms, and the Befaco Rampage. There is also the Function from Make Noise, which is basically half a Maths, and will take you a long way. 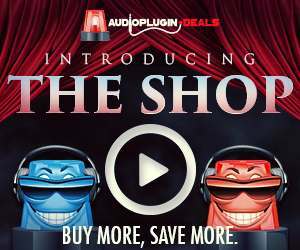 The advantage of all of these is that they can also behave as LFOs, often at audio rates, giving you even more functionality. Another excellent option to consider is Mutable Instruments Peaks, which can act as an ADSR or 2x AD envelopes, plus an LFO, plus a Drum synth (and even sequencer with the unofficial firmware update)! These ‘Utility’ modules are often forgotten by people starting out, but to really get the best from your system they’re essential. The M32 has a VC mixer which can act as an attenuator, mixer or VCA, but expanding on this will free up a ton of options for you. You’ll hear a lot of MuffWiggler about ‘You Can Never Have Enough VCAs’, and coming from a non-modular environment, it can be hard to understand why (after all, in normal synthesis, the VCA is just the Amp, right?). In a Modular world having more than the basic, end-of-the-signal VCA allows you to Modulate your Modulations (For example, you can have an LFO tampered by an envelope). There are a lot of VCA choices, and my best advice would be to seek one out that has an offset (allowing you to set an amount of signal through unheeded), as this feature isn’t available on the M32’s end of signal VCA (although can be achieved through the VCmixer). 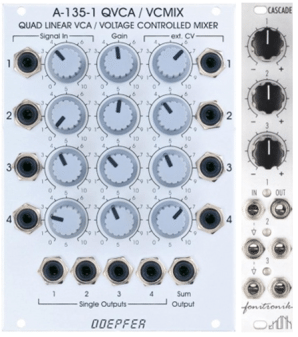 There are Modules with multiple VCAs (typically dual or quad), which can also act as mixers and attenuators (Doepfer again). The M32 has mixing options built in, but if you’ve got another VCO with multiple waveforms, and VCFs with multiple outs, you might want some kind of mixer to put these together. My choice was the Fonitronik Cascade, which can mix, attenuate, and invert, all at once. Another multi-function I’d like to give a shout out for is the Expert Sleepers Disting. This is an incredible module, that can do a ton of different things (it currently has 41 different algorithms). It can shape CV, fold waveforms, act as an LFO (including clockable), Envelope Generator, VCO, VCF, Delay (also clockable), a quantizer, slew gate, S&H, and so much more. The controls may seem sparse, but the you won’t find more functionality in a single module anywhere. As a n00b module it’s fantastic, as it allows you to try out different things, so helps you figure out what more specialised modules you might want to get next. Every video of the M32 released by Moog is covered in delay and reverb, and for good reason, it sounds ACE. 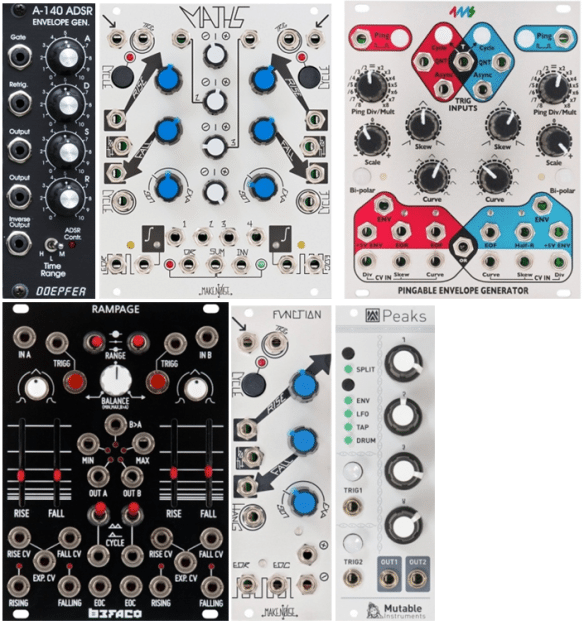 There are some fantastic digital and analogue delay/verb modules available in Eurorack, and I’d highly recommend the Intellijel Springray for classic spring reverb, and the Alright Devices Chronoblob for syncable delay (the delay in the Disting if fantastic too). But I would caution against jumping straight into getting a fancy effects module before you’ve got more bread and butter modules, as you’ve probably already got fantastic effects in your DAW. Having said that, it’s great to be able to fit your effects in the middle of a patch rather than just at the end, and under CV control too. 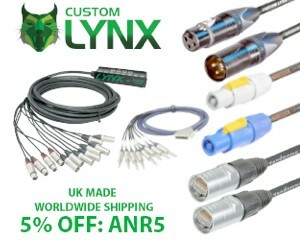 They were also the first things I bought (my Eurorack was originally just effects), so what do I know! Output modules may seem like a necessity, with 1/4″ jack outputs attenuated to get the modular signal (which is much hotter than typical line level) down to the normal levels of a mixing desk/soundcard. They are nice things to have, but they’re by no means necessary. Firstly, the M32 has a jack output that transmits at line level already, and secondly, any normal attenuator will be able to reduce the modular signal levels just fine. Originally written for the Tacetmusic blog by Alan Wragg, writer, producer, singer, drummer, DJ, community journalist. You can also find Alan on Twitter. Excelente artículo. Me ha servido de mucha ayuda. Gracias por compartir. Que fuente de alimentación me recomendarías para el Moog Eurorack Case 60 HP 12″ .